Today’s post is rather special to me. I’ve often expressed my fondness for the amazing artwork that is featured on 1980′s toy packaging. 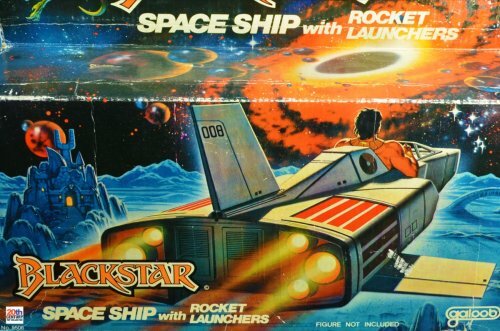 Looking back at the years ever since there is no doubt in my mind that toy packaging from the 1980′s was the coolest ever created! One of my absolute favourites of the era are those that were created for Galoob’s Blackstar toy line in 1983. I managed to track down the talented artist who was responsible for the amazing Blackstar artwork. 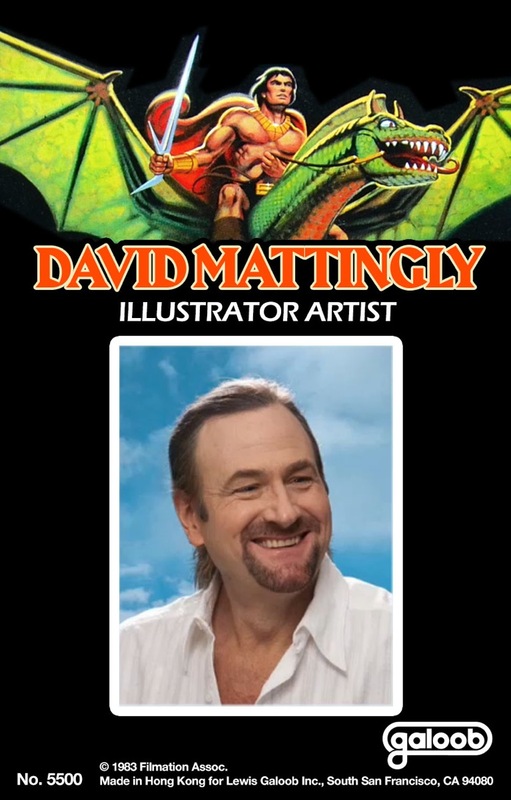 His name is David B. Mattingly and it turns out he’s a really nice guy! He was so kind to grant me the honour of doing a short interview, which I will proudly share with you today. The quote above is by artist Francis Bacon. It is a quote that is part of David’s email signature and I guess there are several ways you could interpret that quote. I cannot help but notice that this is exactly what the artwork on the Blackstar packaging does for me. It evokes a feeling of wonder and mystery within me that I find fascinating. It fleshes out the mysterious and mythical world of Blackstar and leaves enough room for your imagination to fill in the gaps. There is an almost magical quality to it. 20TC: Your mentor was the talented Jack Leynnwood. How did you meet him and what was it like to work with him? David: I wouldn’t describe Jack as my mentor–he was an excellent teacher at Art Center College of Design, and I had one class with him. I don’t remember exactly what the class was, but he was famous for his facility with gouache paint, and that is what he painted all of his model box covers with. He had an amazing ability to paint clouds in gauche, and I remember his demonstrations were mind blowing–everyone was trying to copy what he did, but with mixed results. I still like to paint in gouache when I do physical painting. Most people aren’t familiar with the medium, but it is a finely ground tempera, and can be handled both opaquely, and like watercolor.For the record, the man I consider to be my “mentor” is Harrison Ellenshaw, my boss at Walt Disney studios. He probably did more than anyone else to mold me as an artist. 20TC: For which Blackstar toys did you do the art work? 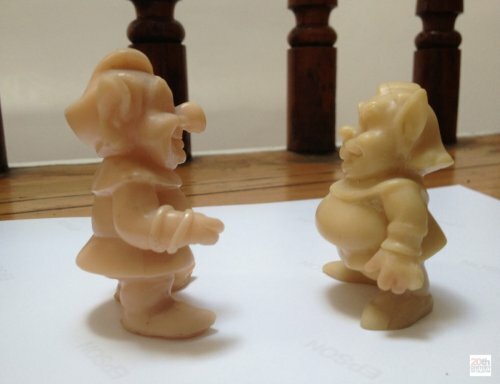 20TC: How were you approached to do the art work for Galoob’s Blackstar toy line? David: It’s kind of a funny story. I was called out of the blue by them, and I went in to talk to them. Sadly, the names of the designers I met with are lost in the mists of my memory. They had a short deadline on the project, and asked if I could paint like Boris Vallejo. I love Boris’s work, but I don’t think my work resembles it much. I had Boris’s telephone number, so I gave it to them, and suggested they call him. I went away, and figured I had talked myself out of the job. A day later, they called me back and said they wanted me to do it, in my style. I guess Boris was too busy, or couldn’t make the short deadline, so I agreed to do it. I worked really hard to meet their deadline, and that’s about all I can remember about the project. 20TC: Can you tell us a little bit about the actual process of creating the various art works? E.g. what did you have to go by when creating the artwork? Was it the actual toys themselves and did the cartoon influence you at all? And how long did it take you to create the various works? David: I was unfamiliar with the cartoon when I got the job, and I think I did see a couple of the shows. This was before I owned a VCR if memory serves. I got print outs of the animation, and they also gave me 2 resin maquettes of the dwarfs to use as reference, and I have kept them over the years. I’ll attach a photo of them in a follow up e-mail. I figured they must be valuable, since they are one of a kind. I think this is what the designers got from the manufacturer for approval, and they are unpainted. 20TC: What happened to the original paintings? 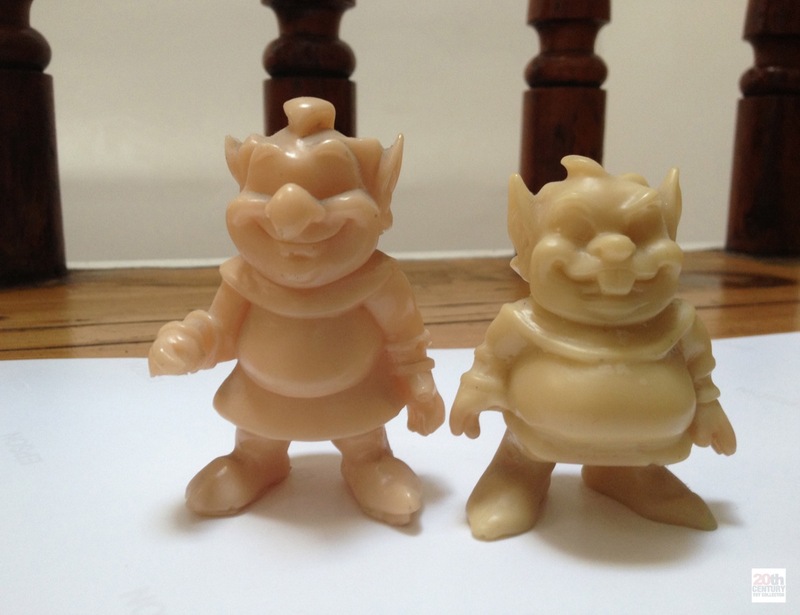 Do you own them or does (the current owner of) Galoob? David: To be frank, I don’t know what happened to the paintings. I think Galoob bought them, but I don’t own them any more. 20TC: What are you up to these days and what plans do you have for the future? I also do training videos on Lynda.com on digital matte painting. 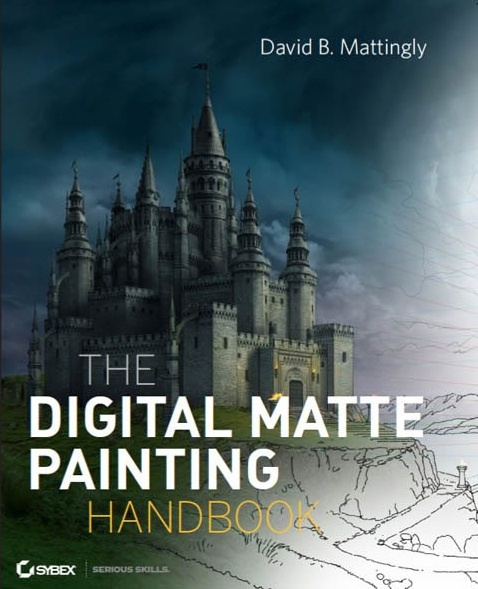 I have a new series that just went up, called “The Essentials of Digital Matte Painting”. Here is a link to it. You can look at the first couple of them for free. Thanks for your interest! It was a fun project. I hope you enjoyed this short interview with David as it has given us some nice little insights into how his work for Galoob came to be. I can heartily recommend checking out The Digital Matte Painting Handbook if you are even remotely interested in the art of matte paintings, and while you’re at it check out the first free chapters at Lynda.com of his “The Essentials of Digital Matte Painting” !! My sincerest thanks to David for the opportunity and his time to do this interview! I will be doing an article on the Trobbit Wind Machine in the near future. 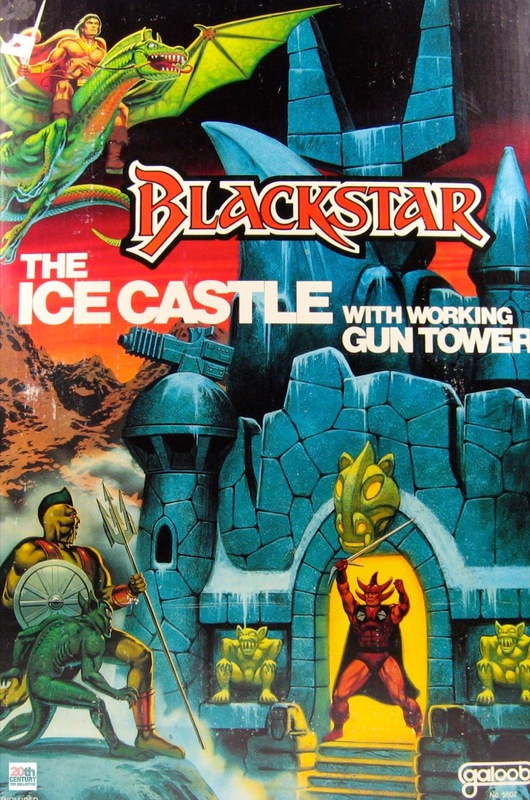 Meanwhile, if you’re interested in reading about the wonderful Ice Castle (and see some more photos of David’s artwork for the Ice Castle packaging) you can check out post number 97. Have a great weekend! Outstanding work!!! Thank you for this dude… The photos of the pre-production trobbits were such a beautiful sight for my hungry for toys eyes! Now, I can’t wait for the trobbit wind machine post, ha,ha! Have a great weekend too!! Agreed! I love this sort of artwork and it’s so sad we dont get to see it more! the Tribbit Windmachine art is just stunning. Wow! Awesome interview, dude ! Congratulations !!!! Months ago we talked about David Mattingly artwork in Blackstar toyline. I’d like to scan those Blackstar artwork toy packing like MOTU-fans always do with their old boxes…how can I do it ? 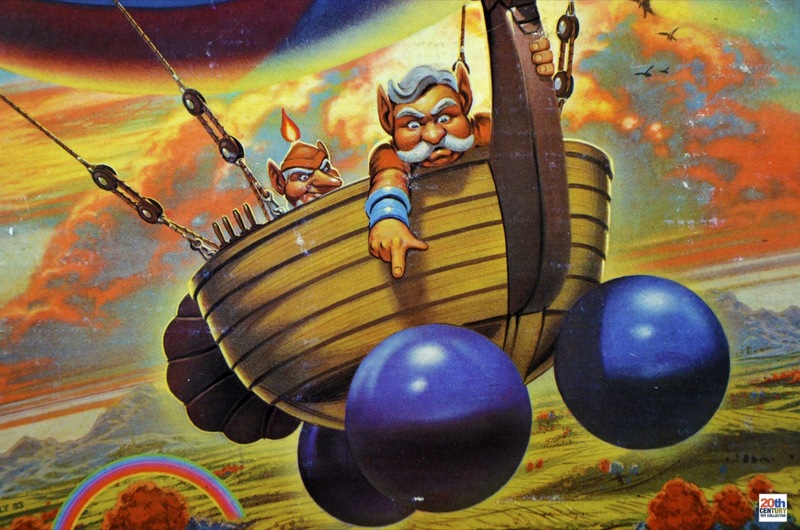 My favorite artwork is Space Ship ! @monteeg: I suspect a lot of the MOTU artwork that’s available on the internet right now was somehow scanned from original photographs or proof transparencies of the original artwork. Some of it might have been scanned from the original boxes, but that’s not an easy process, because you’ll need scanners that are able to scan A3 size or even higher depending on the size of the box. With old boxes you also have the problem of dents and scratches on the packaging that make it even harder to scan. Great interview, and a great artist, thanks! Nice venture into a new direction with your blog, I love it hope to see more interviews! Unbelievable! Thanks from Greece for interviewing one of the most awesome illustrators in the history of toy.Reading this was like a dream come true. I’d kie to send you the Greek cover of the “Ice Castle” tower if you wanted to. Thanks again. Thanks for tracking David down. 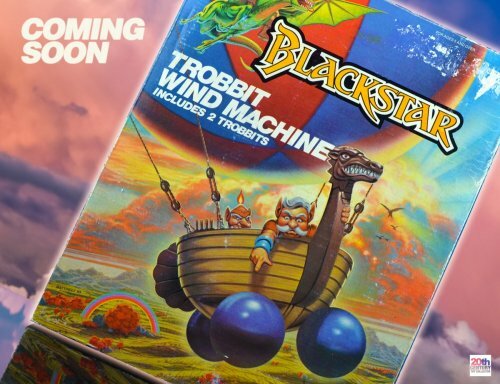 I have really fond memories of Blackstar…and you are right, a lot more went into toy packaging back then. The interview was great and I will certainly look up his book.